In North Carolina the Register of Deeds is responsible for issuing marriage licenses and for keeping records of all marriages performed in the state. 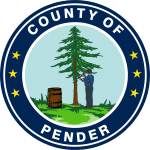 A license purchased from the Office of the Pender County Register of Deeds Office is valid in any county in the state of North Carolina, but cannot be used outside of the State of North Carolina . It is requested that both parties be present when purchasing the license. There is no waiting period to obtain a license and the premarital physical is no longer required. The license is good immediately upon issuance and is valid for 60 days. Once the ceremony is performed the license must be returned to the Register of Deeds to be put on file as a permanent public record. Valid Drivers License issued by one of the fifty US state governments, the United States government, or a US territorial government (Guam, Puerto Rico, American Samoa, the Northern Mariana Islands, or the US Virgin Islands). Valid State Issued ID Card issued by one of the fifty US state governments, the United States government, or a US territorial government (Guam, Puerto Rico, American Samoa, the Northern Mariana Islands, or the US Virgin Islands). All applicants must provide a Social Security number. This can be done by presenting a social security card issued by the US Government, a W-2 from, or a recent pay check stub. If an individual has never been issued a social security number then they must sign an affidavit attesting to this fact. This form is available in the Register of Deeds office. Foreign ID’s must be accompanied by a certified birth certificate and will be accepted at the discretion of the Register of Deeds. Applicants who have been divorced must provide the month and year of their last divorce. If the divorce was finalized within the last year of the date of application, the applicant must provide an original or certified copy of the divorce decree. There is no waiting period between the divorce and applying for the new license. Must call the Register of Deeds office at (910) 259-1225 or visit the office located at 300 E. Fremont St. Burgaw NC for information and requirements. In accordance with NC law the current cost of a marriage license is $60.00 (Effective 09-01-09). If you plan to change your last name, you should obtain a certified copy of your marriage license for a name change on your driver’s license and your social security card. The cost of a certified copy is $10.00. We request that applicants arrive in our office no later than 4:00 pm.